Welcome! We are Babewatch, an ocean swimming group that brings people together to be active, have fun and be social. First and foremost, we want to get young people into ocean swimming. There are numerous ocean swimming groups around Sydney, but they are predominantly made up of an older demographic. We are trying to create a community in which young people have like-minded people to reap the benefits of ocean swimming with. Fundraising and mental health awareness. 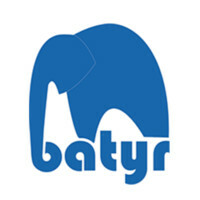 We have chosen to partner with a Sydney based charity named batyr, which is “a for purpose organisation that aims to engage, educate and empower young people to have positive conversations about mental health”. 1 in every 6 young people will be suffering with a mental health issue in silence due to stigma, and we believe that the work that batyr does will have a positive impact in getting young people to seek the help that they need. With 1 in 4 people experiencing a mental illness at any one time, we believe that this is a cause that affects all of us, whether directly or indirectly through friends/family. We will have more information in the coming weeks about our fundraising and we hope that you are as excited about this as we are.